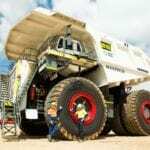 National Group’s mine contracting business, National Mining Services, has delivered a Liebherr R 9800 excavator and three Komatsu 930E dump trucks to assist Idemitsu in boosting its production at the Boggabri coal mine in New South Wales. 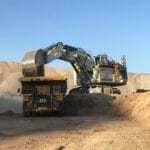 The R 9800 is said to be one of the most productive excavators on the market. National Group has referred to the three Komatsu dump trucks as ‘notorious’ for being difficult to source. They are some of the largest dump trucks available on the market. 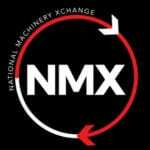 National Group managing director Mark Ackroyd said, “The mining industry is experiencing the early signs of a recovery, with many companies such as Idemitsu steadily increasing production through the use of ultra-class equipment. Ackroyd revealed the National Group was experiencing exponential growth, thanks to its strong connections in the industry. 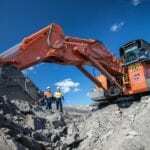 Ray Balks, Idemitsu’s general manager of operations at the Boggabri coal mine, said, “The equipment supplied by National Mining Services was fully operational on August 24 and is expected to support our coal production targets into the immediate future.